Of course, it’s too late for that now and there’s a white circular ring on your beautiful wood table. 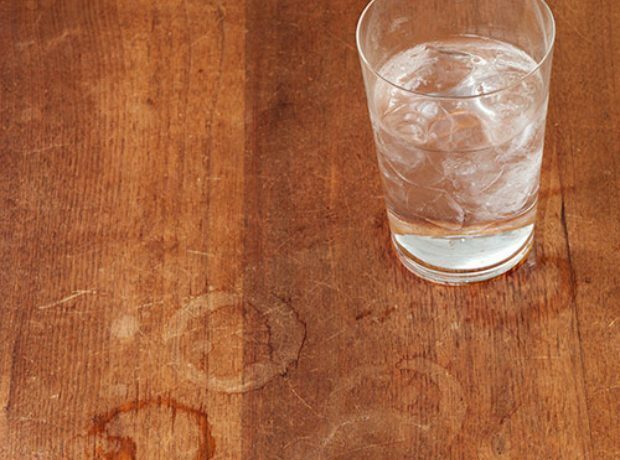 These unsightly water rings (I call them the ghosts of drinks gone by) can be removed with the right method. The heavier the stain, and the longer it is allowed to remain, the harder the mineral build up will be to remove. Here are a few of my favorite cleaning tips (that really work!) to remove water stains fast. 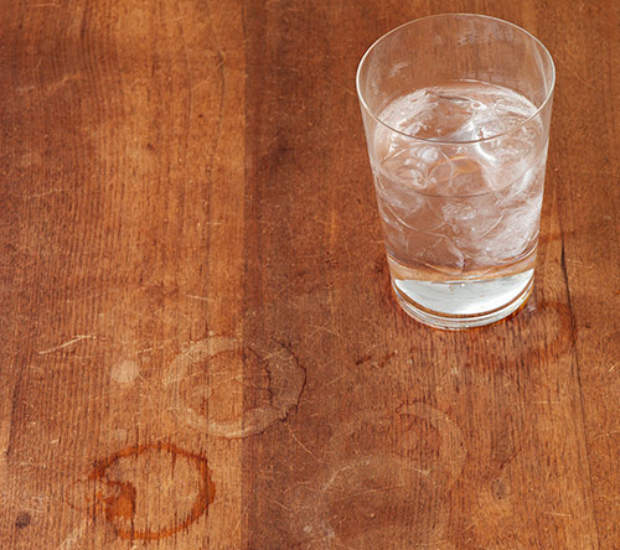 A water stain is a white ring or spot on the wood that doesn’t come off with normal cleaning. It is caused by minerals naturally present in the water that are left on a surface and allowed to air dry. The water evaporates and the mineral solids remain, causing the stain. Real wood that hasn’t been treated with a impervious wax, varnish or a polish are easily susceptible to water stains.